The purpose of the Photogrammetric Applications Division is to promote the development of innovative applications of photogrammetry to address the challenges and needs of government, industry, and academia. PAD objectives include outreach and education, liaising with similar organization outside the Society, coordination with other Technical Divisions for shared society objectives, and the development and promotion of standards and best practices as a key function of a professional society. The Division is currently actively evaluating what role PAD should take regarding new photogrammetry technologies, such as structure from motion from imagery collected by Unmanned Aerial Systems or mobile platforms, 3D reconstruction from close range imagery and similar technologies. Members who would like to take a leadership role in developing committees or working groups related to those or other new technologies are encouraged to contact the Division Director or Assistant Director. The mission of the Division is to provide a forum for collection, development and dissemination of information related to the best practices in photogrammetric mapping applications. Holding conference calls and/or webinars to share information and discuss specific technologies or areas of interest. motion or mapping opinions that can be conveyed to a non-technical audience. speed, acceleration and energy data. Division and Committee members are now located here. This area requires a login. members and entice more such members into the Society. representing the committee to the respective regional areas of members. security applications of photogrammetry and remote sensing. PE&RS on defense, intelligence or security applications. by advertising and communications within these organizations. The ASPRS Board of Directors approved the ASPRS Positional Accuracy Standards for Digital Geospatial Data (current version is posted above) on November 17, 2014. 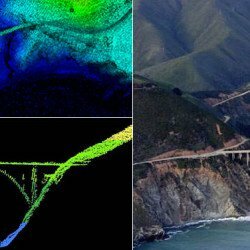 This standard supersedes and replaces prior ASPRS accuracy standards including the ASPRS Accuracy Standards for Large Scale Maps (1990) [PB1] and ASPRS Vertical Accuracy Reporting for Lidar Data (2004). In the summer of 2011, the Photogrammetric Applications Division (PAD) and Primary Data Acquisition Divisions (PDAD) held a series of conference calls with the intent of forming a committee to update and revise the existing ASPRS Map Accuracy Standards for Large Scale Maps. At the November 2011 ASPRS Pecora Conference in Washington DC a meeting was held to present a draft concept and initiate the effort to update and revise the existing accuracy standard. A joint committee including membership from PAD, PDAD, and the Lidar Divisions was formed and numerous conference calls were held to assimilate information and identify, discuss, and resolve key issues. Hot Topic sessions to solicit member feedback were presented in Sacramento (Spring 2012) and Tampa Bay (Fall 2012). Following the 2012 fall conference, a drafting committee was formed to prepare a first draft of the document. The final document Edition 1, Version 1.0.0 represents the seventh revision of the standard. ASPRS members reviewed an initial draft in October 2013. This was followed by a revised draft, which addressed some, though not all, of the comments received during the October review. That revision was published in the December issue of PE&RS to encourage wide dissemination and comment. A third revision was presented at the ASPRS 2014 Spring conference in Louisville. After internal review of intermediate revisions a fifth revision was published and submitted to both members and outside organizations for broad public input. Revision six addressed comments and feedback from the public review and was resubmitted to those providing prior comment for a final review. Revision 7 was developed to address remaining concerns and submitted as a final draft for Board Review. The final document Edition 1, Version 1.0.0 made only minor grammatical edits to the Revision 7 draft approved by the Board in November 2014.